A revisit of some recently Posted images, but moved into a Black and White presentation. Ice, Snow and Water 098 – Black & White images taken in Hibernia park, Chester County, during 14°F/-10°C weather. Ice, Snow and Water 055 – Black & White images taken in Hibernia park, Chester County, during 14°F/-10°C weather. Ice, Snow and Water 029 – Black & White images taken in Hibernia park, Chester County, during 14°F/-10°C weather. 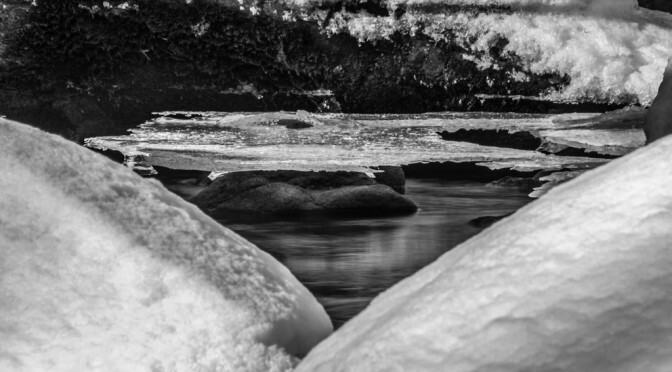 Ice, Snow and Water 189 – Black & White images taken in Hibernia park, Chester County, during 14°F/-10°C weather. Ice, Snow and Water 083 – Black & White images taken in Hibernia park, Chester County, during 14°F/-10°C weather. Ice, Snow and Water 186 – Black & White images taken in Hibernia park, Chester County, during 14°F/-10°C weather. Please leave your thoughts below in the comments! Being the nut job that I am, I managed to tantalize someone else to join me in the 14°F weather! 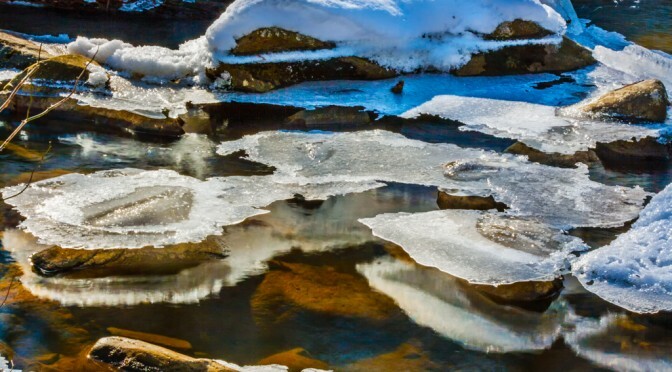 When we got out into shooting position down by the Brandywine creek, it was allot more dangerous because of the 6-8 inches of snow covering everything! Wagontown Rd 055 – A slightly warmer visit to the Brandywine Creek in Hibernia park in Chester County PA.
Wagontown Rd 029 – A slightly warmer visit to the Brandywine Creek in Hibernia park in Chester County PA.
Wagontown Rd 083 – A slightly warmer visit to the Brandywine Creek in Hibernia park in Chester County PA. Some of the ice structures that I had seen on my visit on the 8th, were no longer around, and the water was not as dark with silt. I still have more to process, but I wanted to get something Posted.